How do you hide a lion? This is the interesting conundrum faced by Iris, a young girl who discovers a lion hiding in her playhouse. Luckily, Iris isn’t scared of lions so takes it upon herself to befriend him and hide him away from her parents. 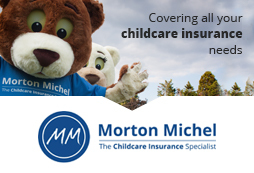 Children will be giggling at their mischievous antics! Iris decides that ‘It wasn’t easy hiding a lion. He was just too big!’ The bath, the bed, in the tree and behind the sofa are all tried out as hiding places. One of my favourite parts is when Iris reads the lion his favourite story – ‘it was about a tiger who came to tea.’ I love this reference to the classic picture book. Unfortunately, the lion falls asleep part way through the story and this is where the trouble begins. Try as she might, Iris can’t move the lion before her Mum comes into the room. Children will love the build up and tension this creates. What will happen next?! Although the lion is spooked and takes flight, he ends up becoming the town hero thanks to a moment of bravery. A happy ending ensues but leaves a sense that there will be more adventures to come for this pair. There’s so much to enjoy about this book – humour, friendship, mischievousness and determination. It’s fantastic for developing communication and thinking skills as children can be encouraged to engage in discussion around the escapades of Iris and the lion. Where would they hide a lion if they found one? How do they think the lion feels? Why did Iris help the lion? The developing friendship between Iris and the lion is so endearing. Charming illustrations beautifully represent their friendship – the fun, teamwork and protectiveness are depicted in enchanting illustrations with a classic feel which draw the reader in. My particular favourite is the picture of them bouncing on the bed together. It really encapsulates the joy of this book and the quirky topic of making friends with a creature that is usually depicted as being intimidating. 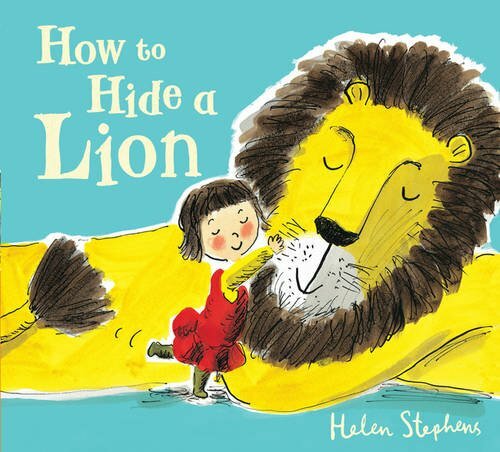 How to Hide a Lion is a thoroughly refreshing story which children and adults alike will fall in love with. The exciting news is that another book featuring Iris and the lion is out soon – How to Hide a Lion at Christmas! I’m already looking forward to reading about further antics featuring Iris and the lion.